We held a seminar last Friday for the entire GenMyModel team. 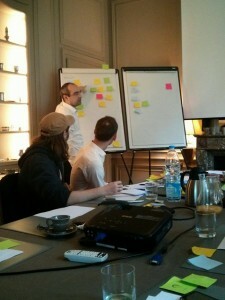 Discussing some ideas from our brainstorming session….. It was a great opportunity to step out of the office and to think outside the box. We not only talked about GenMyModel and our objectives but also discussed different ideas for the future like how to better meet your collaboration needs. We even held an interesting brainstorming session which resulted in some ideas as farfetched as having a commercial during the Super Bowl! Luckily, others were far more reasonable. Definitely not! What better way to end a day of brainstorming and discussion than to head out for a night on the town? Dinner and drinks were definitely in order. 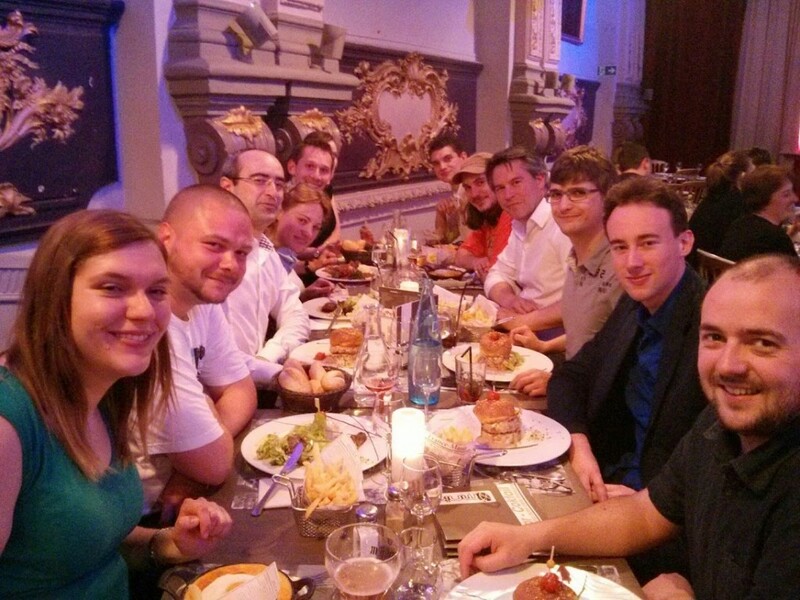 Dinner out with the team members…. It gave us all a chance to hang out, chat, and get to know each other better. And maybe show off some dance moves? That’s a secret that’ll stay with us.